Edited and compiled by Brian Hammett, this is Arthur Ransome’s account of Racundra’s maiden voyage, which took place in August and September 1922. The cruise took him from Riga in Latvia to Helsingfors (Helsinki) in Finland, via the Moon Sound and Reval (Tallinn) in Estonia and back. His first book on sailing, it was also the first of his titles that achieved such high levels of success. This edition uses the original text from the 1923 edition in its entirety – with the original layout, maps and photographs – and also includes an excellent introduction by Brian Hammett containing a treasure trove of writings, essays and photographs. Ransome’s first attempts at Baltic sailing, in his two previous boats, Slug and Kittiwake, are also explained in detail using his writings and illustrations. The life of Ransome’s beloved Racundra is chronicled to its conclusion and there is an explanation of how he came to write the book. The original illustrations are enhanced by the inclusion of present day photographs of the same locations. 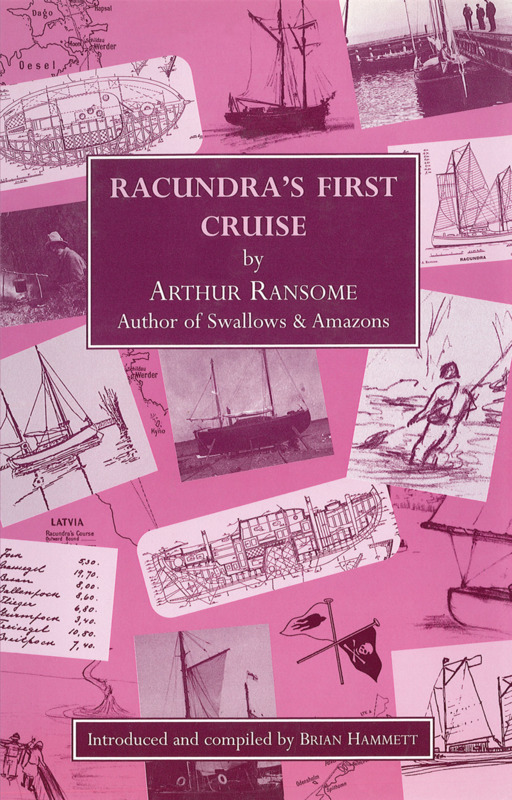 Having gone out of print in 2012, this new paperback edition retains all of the original and additional features; bringing back to life Ransome’s epic first cruise in his pride and joy, his treasured Racundra.